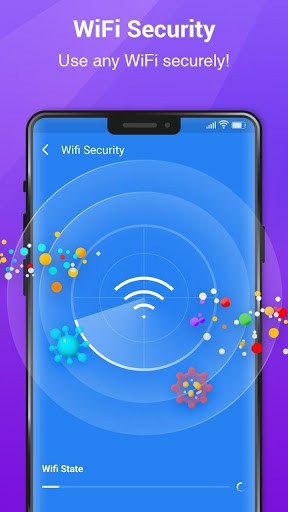 Super Antivirus is a free virus cleaner and WIFI security app with powerful antivirus engine inside. It protects your phone from any viruses, malware, and Trojan; provides your phone security in 360 degree protection. Not Only Free antivirus cleaner, but also an All In One Toolbox for your android phone. 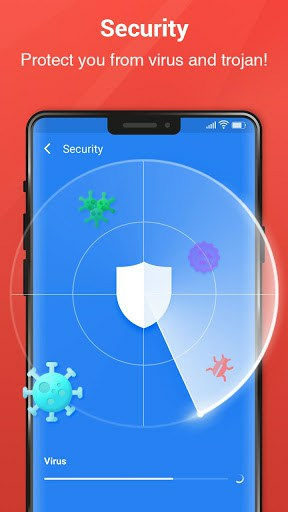 You can also take this Free Antivirus as Phone Cleaner, Speed Booster, AppLock, Virus Cleaner, Battery Saver, Phone Cooler, RAM Cleaner, Notification Cleaner, Cache Cleaner, Junk Removal, and so on. It protect your android phone, clean your android phone, boost your android phone, really an powerful android phone master. 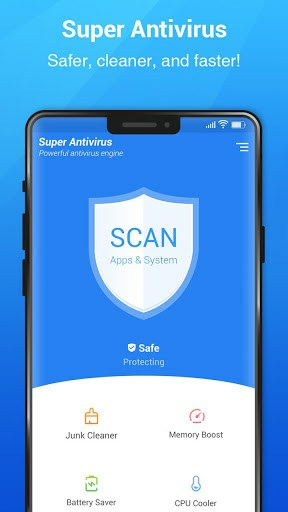 Super Antivirus scans virus and malware on all your apps and files in system, and blocks and removes virus and malware once malicious apps installed. Super Antivirus helps to protect your phone security, and make it safer. Super Antivirus will identify the fake WIFI and not encrypted WIFI automatically for you. You can use any public WIFI securely without any privacy concern. Cache Cleaner cleans useless application cache files safely and release more space faster. 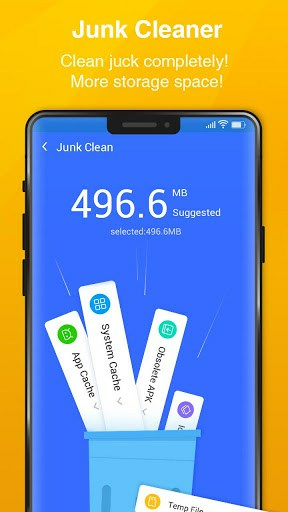 Junk Cleaner finds out all of the useless log files, temporary files, history files, and AD files, and then recommend to clean those residual junk files to release more storage of mobile phone. Also, clean apk files after app is installed to release storage space. 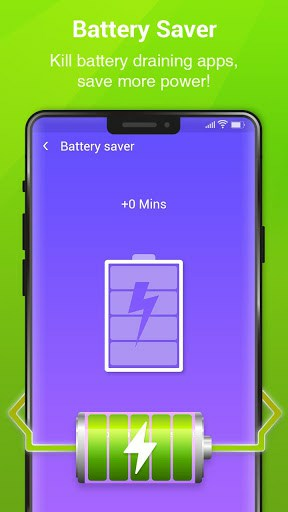 Kill battery draining apps to save power by 1 tap; and when your phone power is low, Battery Saver will remind you to save battery by cleaning apps. Phone Cooler cools down your android phone temperature effectively with one tap. Memory Booster feature will help to boost your phone. Super Antivirus protects your app privacy with an AppLock PIN or pattern. Lock up sensitive apps such us WhatsApp, Instagram, Facebook, Messenger, Gmail, and so on. So many noisy and useless notifications? Use this super virus cleaner to mute and clean the unwanted notifications if necessary. The junk notification cleaner will gather junk notifications into one, and clean them if needed. This super fast antivirus cleaner helps to create 1 tap boost desktop shortcut, and you can boost phone by one tap easily.